Senator Rand Paul (R-Ky.) Said on Monday he would vote against the confirmation of President Donald Trump's nominee for Attorney General William Barr, citing his record on privacy issues. "I'm a no," Paul said in a brief interview. "He has been the main defender of the unsecured surveillance of US citizens, I think the Fourth Amendment should protect his phone calls and his banking information, and people should not be allowed to see it without a warrant." 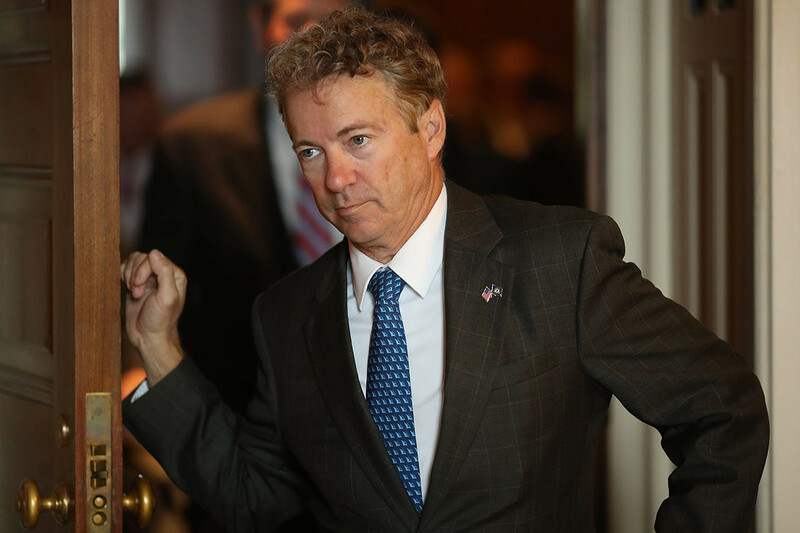 Paul previously criticized Barr's record on surveillance issues, including his support for the Patriot Act. A daily news game of Congress in your inbox. By registering, you agree to receive newsletters by email or POLITICAL alerts. You can unsubscribe at any time. This week the Senate is expected to vote on Barr's final confirmation. Despite Paul's opposition, Barr is expected to be confirmed with almost unanimous support from Republicans. Moderate Republicans such as Sens. Mitt Romney (R-Utah) and Cory Gardner (R-Colo.) Have said they will support Barr's nomination. In addition, Democratic Senator Doug Jones of Alabama said last week that he would vote to confirm Barr. The Senate Judiciary Committee approved Barr's nomination on Thursday along party lines. Senate Democrats expressed concern over whether Barr would publish the final results of special lawyer Robert Mueller's investigation into Russian interference in the 2016 election. They also criticized Barr for a note he wrote last year to Deputy Attorney General Rod Rosenstein describing Mueller's investigation into the possible obstruction of justice by the president as "fatally flawed". Trump nominated Barr in December to replace Attorney General Jeff Sessions. Trump was frustrated with Sessions after he retired from the Mueller probe, which Trump has ridiculed as a witch hunt. Do you miss the latest scoops? Register in the POLITICO Playbook and receive the latest news, every morning, in your inbox.